I want to wish all of you amazing Mothers a very Happy Mother’s Day. I hope you all get spoiled and pampered, and maybe get someone to make this fantastic dessert for you! Preheat oven to 350° F. Spray the bottom of a 9×13 inch baking pan with non-stick spray. In a large bowl, mix together the cookie mix, butter and egg until a dough forms. Press dough into the bottom of the baking pan. Bake for 15 to 20 minutes or until light golden brown. Remove from oven and let cool completely. In a small, microwave-safe bowl, microwave white chocolate chips for 45 to 60 seconds or until chips are melted. Stir until smooth. In a medium bowl, beat cream cheese with an electric mixer until smooth. Stir in the melted chocolate chips. Spread this mixture evenly over the cooled sugar cookie crust. Refrigerate while making the topping. In a small bowl, crush 1 cup of the strawberries. In 2-quart saucepan, add the 1 cup of crushed strawberries, sugar, cornstarch and water. Cook over medium heat, stirring constantly, until mixture boils and thickens. Remove from heat and let cool 10 minutes. Gently fold in remaining strawberries. Spoon over the filling. Cover and refrigerate 1 hour or until set. Serve and enjoy! Spray the bottom of a 9 x 13 inch baking pan with non-stick spray. In a large bowl, mix together the cookie mix, butter and egg until a dough forms. In a small, microwave-safe bowl, microwave white chocolate chips for 45 to 60 seconds or until chips are melted. Stir in the melted chocolate chips. Spread this mixture evenly over the cooled sugar cookie crust. In a small bowl, crush 1 cup of the strawberries. In 2-quart saucepan, add the 1 cup of crushed strawberries, sugar, cornstarch and water. Cook over medium heat, stirring constantly, until mixture boils and thickens. Gently fold in remaining strawberries. Cover and refrigerate 1 hour or until set. 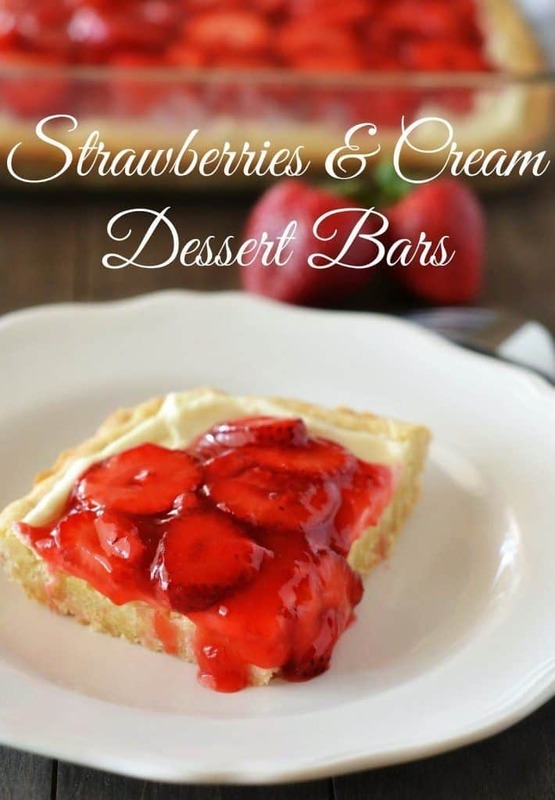 I was just think about making a strawberry dessert for Mother's Day…looks delicious! Perfectly beautiful..no doubt it has to taste as good as it looks!!! Thanks to both of you sweet ladies! Yum – How good does this look!!! Just made this to take to Mother's Day brunch!! Thanks for the recipe! I made this on Mother's day! So yummy and I am really not a strawber ry fan. 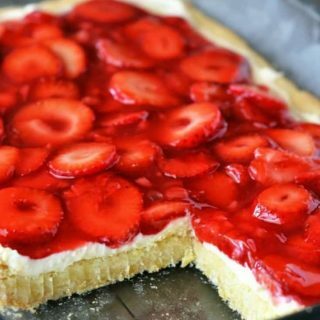 I cheated and used store bought glaze and just chopped up the strawberries, added a little sugar then the glaze. just wondering if anyone has tried this with the roll of cookie dough already mixed together??? just thinking that would be easier but maybe there is a reason I haven't thought of as to why it might not work??? I make a lower calorie/sugar version of this. Use Graham cracker or chopped granola with melted I can't believe it's not butter for the crust. For the filling I use the lower fat cream cheese and mix with a box of sugar free cheesecake or white chocolate pudding made with 1 1/4 cup of 2% milk. I do the topping the same but you could use agave syrup or honey in place of sugar. This is superb. Love your blog. Pinned! 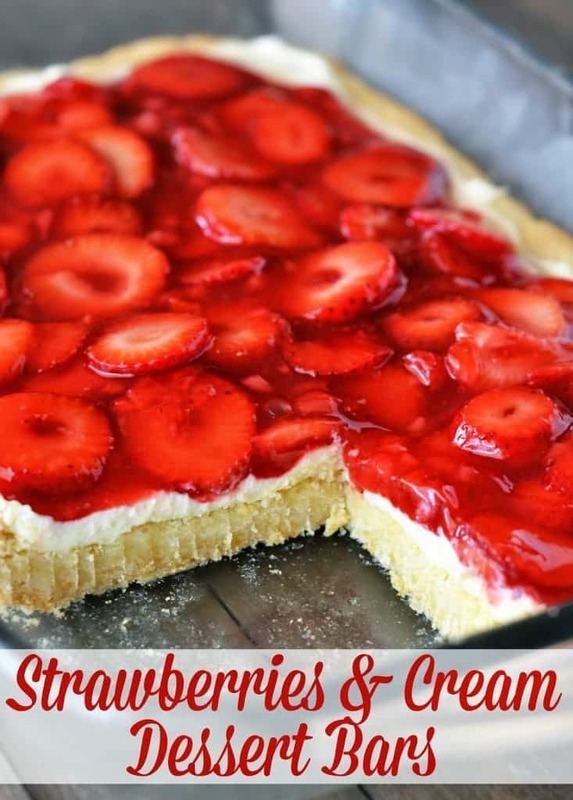 What a beautiful Strawberry recipe, I am going to make this with my daughters tomorrow morning and will put it on the strawberry diet. I love, Love, Love your recipes and stories. I like easy recipes and yours mostly have a shortcut somewhere! Thank you so much! I made this recipe two ways. Well not really. Just made two of them and changed the topping on the second one. I didn't have fresh strawberries so I used canned pie filling! Strawberry on first one and Lemon curd on the second one. Oh! my! goodness! So good! Will be making this over and over. Next I'm going to figure out a topping with Nutella! Thank you for helping me look good in the kitchen!!! Yay! So happy y'all love this one! It just screams summer to me. 🙂 Colleen, oh my, that lemon curd sounds awesome too!! Yum! I actually have all of these ingredients and I am going to make this for a pot luck lunch at work on Friday. Do you think this can be made the night before? I am thinking it would be fine because I have made those layered tortes with the crust, cream cheese layer, pudding and whipped cream and it actually is fine over night. Made this last weekend and it was a hit. Light and refreshing, but oh so good. I used a pound of fresh strawberries. Cooked the crust about 20 min. in a jelly roll pan. I may add to the filling next time. Made this exactly to the recipe. It was perfect! Sounds so good! And simple! As a mother of 5 and fostering 2 more, I look forward to trying these recipes! Thank you! Bless your heart! I hope all the kiddos love it! I have wayyy too many frozen blueberries. Do you think I could substitute them for the strawberries? If so, do you suppose the rest of the ingredients would remain the same in amounts? Thanks! Finally leaving a comment after making this for probably the fifth time. 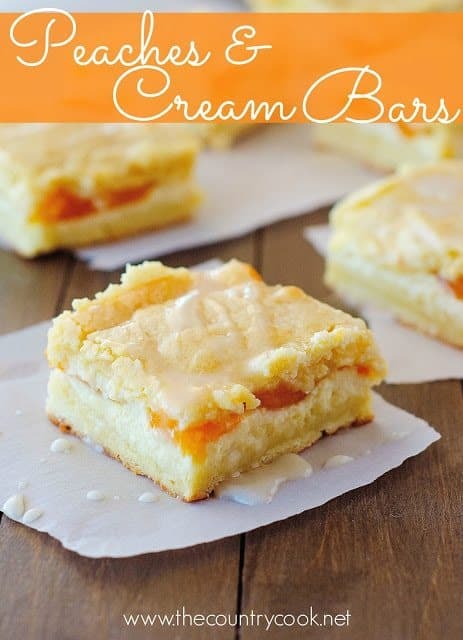 This is my go to dessert to bring to any gathering and it always receives tons of compliments and questions about where to find the recipe. This is going in my saved recipes that I’m sure I’ll keep for years. Super easy to make, the only hard parts are the many dirty dishes and trying not to eat the whole dang pan.